He goes on to explain how he has conducted research on the neuroscience of trust. Zak has conducted numerous experiments measuring the brain chemical oxytocin to gain a better understanding of "why trust varies across individuals and situations." He's also conducted survey research in numerous organizations. Through his research, Zak has identified eight factors that enhance trust in organizations. 1. Leaders must recognize excellence publicly. 2. Leaders should provide people challenging work. 3. Leaders ought to give people some autonomy with regard to how work gets done. 4. Leaders should give people some say with regard to which tasks they perform. 5. Leaders ought to share information about the firm's goals, strategies, and performance. 6. Leaders have to show people that they care about them. 7. Leaders should promote the personal and professional development of their employees. 8. Leaders should not be afraid to ask for help when necessary. What's the Best Incentive Compensation Strategy for Salespeople? They found that sales productivity increased by 4.9 percent, on aggregate, under the daily quota scheme. But the results were more dramatic among the lowest quartile of salespeople—those with the worst recent sales records in the company. That group saw an 18 percent increase in sales productivity under the daily quota. Chung explains that low performers are susceptible to falling behind in a monthly quota scheme, becoming less motivated or less capable of meeting their quota the further they fall back. “So they just give up,” he says. However, this finding is not the end of the story. The scholars also examined the type of products that these employees sold before and after the change in quota scheme. As it turns out, the retailer sold many more low-priced goods with the new quota scheme, but fewer higher-priced, higher margin items. Why? The higher-priced items took more time to sell. Thus, the daily quota system created a powerful incentive to push the items that were easiest to sell (the low-priced goods). What's the lesson of this story? You have to decide what your strategic objectives are. If you want volume, a more frequent quota makes sense. If you are interested in being very successful at the high end of the market, then you do not want the quotas to be as short term in nature. Sears Holdings has recognized for the first time that many people think the retailer is not long for this world. In its annual report released on Tuesday, the retailer, which owns Sears and Kmart, said that its years-long sales declines, "indicate substantial doubt exists related to the Company's ability to continue as a going concern." In other words, many think Sears will go under. Amazingly, Sears has lost nearly $10 billion in the last six years. How long can they continue to sustain such losses? Could they be headed to liquidation, not simply a restructuring under Chapter 11? Some think that may be the case. For me, Sears represents what Harvard Business School Professor Jay Lorsch once described as a "gradual crisis." Lorsch argued that firms struggle mightily when a threat emerges gradually and unfolds over lengthy periods of time. They can find themselves rationalizing the threat and avoiding the hard truths. No single event causes them to shake things up and shift direction in a major way. By the time they begin to truly confront the threat, it's too late. They find themselves far behind the times, or simply unable to transform the organization that is so set in its ways. Perhaps most importantly, the resilient children had what psychologists call an “internal locus of control”: they believed that they, and not their circumstances, affected their achievements. The resilient children saw themselves as the orchestrators of their own fates. In fact, on a scale that measured locus of control, they scored more than two standard deviations away from the standardization group. Konnikova concludes by reporting that scholars believe that people can change the way that they frame events in their lives. They can be trained to reframe potentially traumatic events as positive ones. If that is true, then we can actually become more resilient. We are not destined to always act the way that we have acted in the face of potential adversity. On Friday, I moderated a panel discussion at Bryant University's 20th Annual Women's Summit. One audience member asked the panelists to describe their favorite interview question. Gerardine Ferlins, founder and CEO of Cirtronics (a contract manufacturer based in New Hampshire), explained her favorite line of inquiry. She asks job candidates to think of someone that they admire professionally... perhaps a former manager or colleague. Then she asks the candidates to describe the characteristics and qualities of that person. Ferlins explained that this question tends to tell you a great deal about the candidate. In short, they often describe themselves! They select someone who has the types of qualities that they think are most important. You learn a great deal about someone's values, beliefs, and priorities when you ask this question. In short, this interview question builds on the old adage: You can tell a lot about a person by the friends they keep. The same exercise can help CEOs determine what their organizations need to live a productive life, and what could lead to an untimely death. CEOs should imagine they are business journalists, writing a postmortem on how the company began a slide toward oblivion—how it lost its leadership position, was targeted by an activist investor or acquired by a company with a more successful business model. What were the likely causes? Which factors in the downfall were knowable but not seen or addressed by executives? Which former strengths became fatal weaknesses? What could senior leaders have done differently to position the company for success? These theoretical obituaries would vary greatly in detail, but I suspect they will include a common thread: The natural life cycle of many companies goes from insurgency to incumbency to struggling bureaucracy to replacement by the next wave of insurgents. Ryan Holmes, CEO of social media platform Hootsuite, has written a terrific article for Fast Company about the latest management initiative at his firm. Holmes begins by recounting the story of one employee who became frustrated with the approval process required to send one customer a Hootsuite t-shirt as a gift. The t-shirt cost $15. The employee spent hours tracking people down to get the appropriate approvals. That example may sound a bit crazy, but every organization has cumbersome, bureaucratic procedures that frustrate people who are just trying to get the job done. These processes may have started out with good intent, but they evolve to the point where they make little sense in many circumstances. Moreover, these types of processes tend to centralize decision-making authority over time. They take away autonomy from the people on the front lines trying to get the work done. Processes never die. They almost always grow and become more complex. 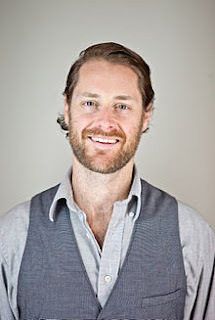 Hootsuite set out to change that dynamic. One individual has taken on the unofficial position of "Czar of Bad Systems." Holmes writes, "Our employees now have a go-to person who can take an objective look at processes that have outlived their usefulness. If people have a problem they can’t fix, even with help from their manager, they reach out to the Czar. In the past, these processes would’ve fallen through the cracks–they’d be cursed at but ultimately complied with. Now there’s hope that they might actually be corrected." Why do bad processes emerge in organizations? Holmes explains, "Interestingly, most bad processes seem to boil down to a few common failings: needless complexity, unanticipated bottlenecks, or irrational fear of worst-case scenarios." I would add one significant reason for bad processes: the desire by certain managers and executives to amass power and authority. Simply put, some managers want the right to approve or reject certain decisions because it gives them power over others, and it helps justify their existence in the organization. What these managers fail to do is put themselves in the shoes of those trying to do the work. They don't appreciate the frustrations that they have created. Moreover, they often do not understand how much they have slowed down the organization. When approaching these types of processes, managers need to put themselves in the shoes of those on the front lines. They need to stop thinking about themselves and start thinking about those whom they should be serving. When we try to understand corporate strategy decisions, we should examine the factors affecting the way executives approach key situations. Specifically, we should seek to comprehend how career concerns might shape strategic choices. Consider the research of Todd Gormley and David Matsa. They conducted an interesting study of over 2,220 firms in which managers learned that government officials had identified something used in their manufacturing process as a carcinogen. The scholars analyzed the strategic choices that followed this discovery. Here is what they found, according to a summary of the research published by Kellogg Insight. “They started buying other firms,” says Matsa. Discovering that their workers had been exposed to a carcinogen was linked to a 6% increase in acquisitions. But critically, acquiring these companies didn’t actually create any value for shareholders. That’s because, rather than making more strategic purchases, the troubled firms overpaid for large and unrelated “cash cows”—firms whose healthy profits might offset any future payouts the company would have to make. Matsa and Gormley argued that that the managers pursued this strategy to reduce their personal exposure. Because their compensation was closely tied to the firm’s performance, their own finances would have been disproportionately hit by the firm’s collapse. And because a catastrophe would likely cost them their jobs, their careers also hung in jeopardy. Moreover, just as seen in the previous study, these managers actively reduced risk by pursuing safe, diversification-focused acquisitions. Their firms undertook 27% more acquisitions compared with unprotected businesses—with two-thirds of these transactions diversifying the firms into new industries rather than building on existing strengths. Disproportionately, the firms targeted “cash cows.” And their caution negatively impacted their companies’ value, investments, and growth. “These incremental acquisitions destroy shareholder value on average,” Matsa says. The article describes how firms are holding these types of events to prevent researchers from becoming discouraged after lengthy efforts that do not lead to a product that can go to market. It also describes how companies are conducting extensive after-action reviews to capture the learning from these failed drug discovery efforts. Finally, they want to avoid excessive risk aversion; they want people to take risks in hopes of discovering the next highly effective drug. I would argue that these efforts also de-stigmatize failure and perhaps help people make the tough decision to stop a research effort and cut their losses. We know that the sunk cost trap can cause researchers and managers to throw good money and effort after bad in the drug discovery process. By minimizing the stigma of failure, perhaps these firms can make it a bit easier for people to cut their losses. In the end, that will lead to a much more efficient use of resources at these firms. Whole Foods Inside of Target? Food sales represent more than 20% of Target's business, and it's vital it finally gets this business right. Same-store sales were pressured throughout last year, as the company battled with pricing strategies in a competitive backdrop. Further, Target continues to deal with not having a broad enough assortment in fresh categories such as fruit, vegetables and meat and deli (would like it if they sold some fresh fish and more grab-and-go sandwiches at my local Target, for example). The retailer has to decide whether it wants to be a grocery store and, if so, how it could do it more effectively. Becoming a successful grocer could lift sales throughout the store. As I have said in the past, Target should consider outsourcing its grocery department to a Whole Foods (using its new 365 value banner) in the same fashion as it outsourced its pharmacy business to CVS Health. Let someone with the expertise in food service handle the business, freeing up Target to focus on what it does best -- higher quality general merchandise vs. Walmart at good prices. I certainly find the concept intriguing. By all accounts, Target made a wise decision to outsource its pharmacy business to CVS Health. It did not have the same capabilities as CVS, and yet, having a strong pharmacy in the store had important benefits in terms of building foot traffic. CVS made for a perfect partner. However, the Whole Foods partnership raises some questions. Yes, Whole Foods offers strong capabilities in the grocery business. However, Whole Foods has a very premium image, and it is known for high prices ("Whole Paycheck"). Yes, Target hopes to differentiate itself from Wal-Mart and offer a premium shopping experience for guests. Is Whole Foods a bit too far in that direction though? Will it turn off shoppers looking for good value (Expect More, Pay Less)? Sozzi recommends using the new 365 value banner from Whole Foods, but that store concept is not yet proven. Perhaps more importantly, Whole Foods is facing many struggles of its own right now, both trying to reinvigorate its flagship stores as well as launch the 365 stores. CVS Health was a strong, high performing partner for Target. Is it the right moment to partner with a firm such as Whole Foods, given the challenges that the grocer is facing at the moment? Finally, outsourcing 20% of your business is a far different decision than shifting the small pharmacy unit to CVS Health. Sozzi certainly raises an interesting idea though, and I'm sure others will press Target's management to consider similar moves if same-stores sales growth does not improve.